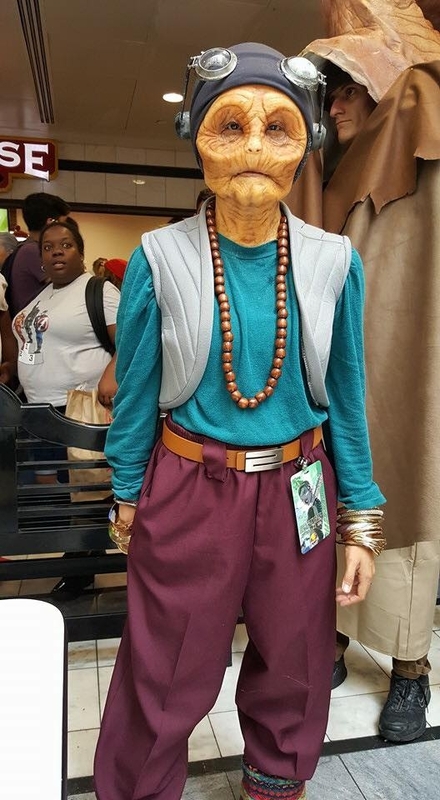 Here is my makeup that I did for Dragoncon based off the character Maz Kanata from Star Wars: The Force Awakens. 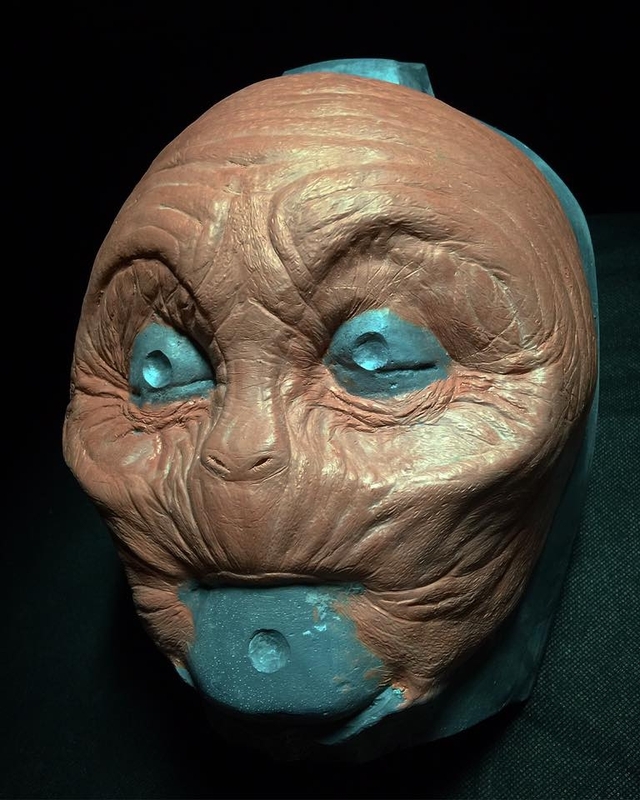 All character makeup sculpting, molding, casting and application by Alex Bosak with the eye glass frames 3D printed by Lee Hurley and assembled and painted by Alex Bosak. 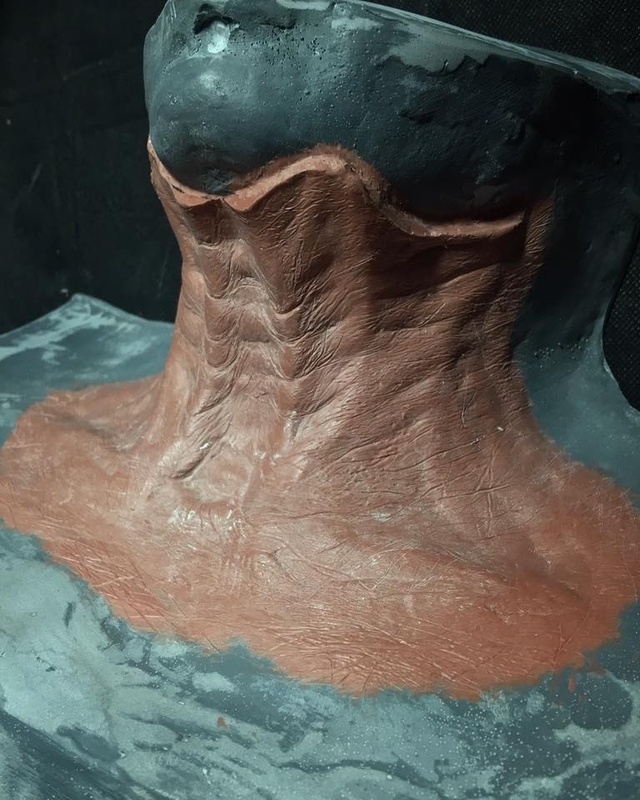 The character was first sculpted in total on a life cast comprised of hydrocal backed with polyurethane foam before being floated off and placed onto the respective corrective cores for final detailing and molding. Cores and molds were created in BJB TC-816 urethane. 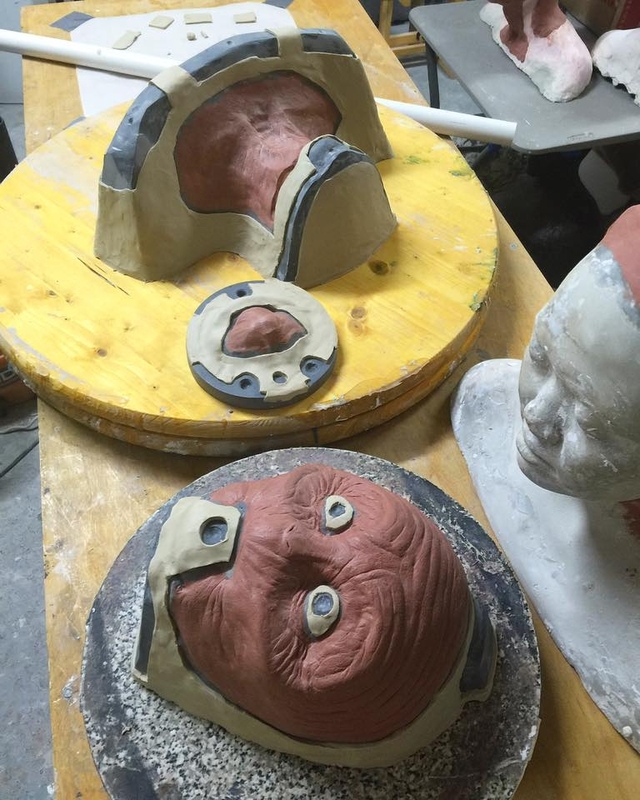 Appliances were cast in Smooth-On Ecoflex 0030 with 50% Slacker (1A:1B:1Slacker) and encapsulated in Baldiez. 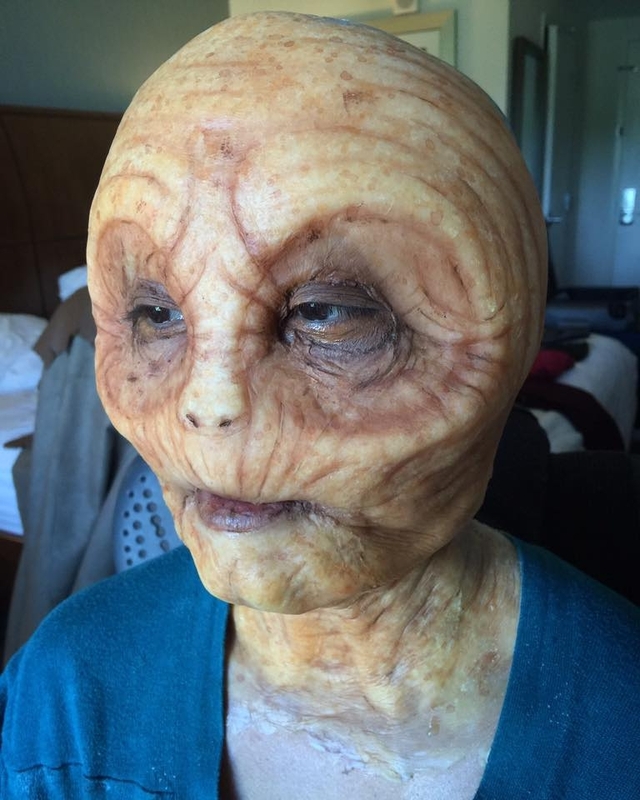 Makeup applied and painted with variety of adhesives, alcohol colors and creams. 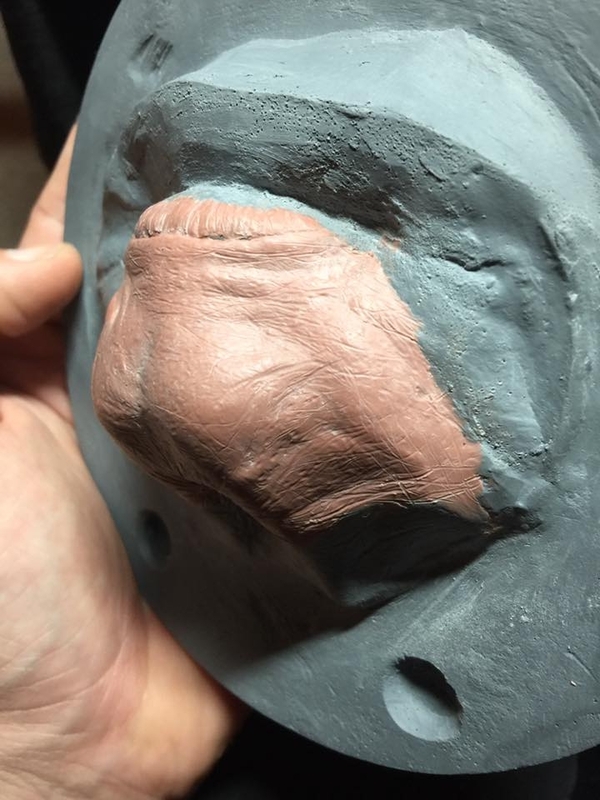 Included images: Sculpt prior to breakdown, sculpts on corrected positives, a mid application shot prior to final blending and paint and a completed character shot taken at Dragoncon in Atlanta, GA. 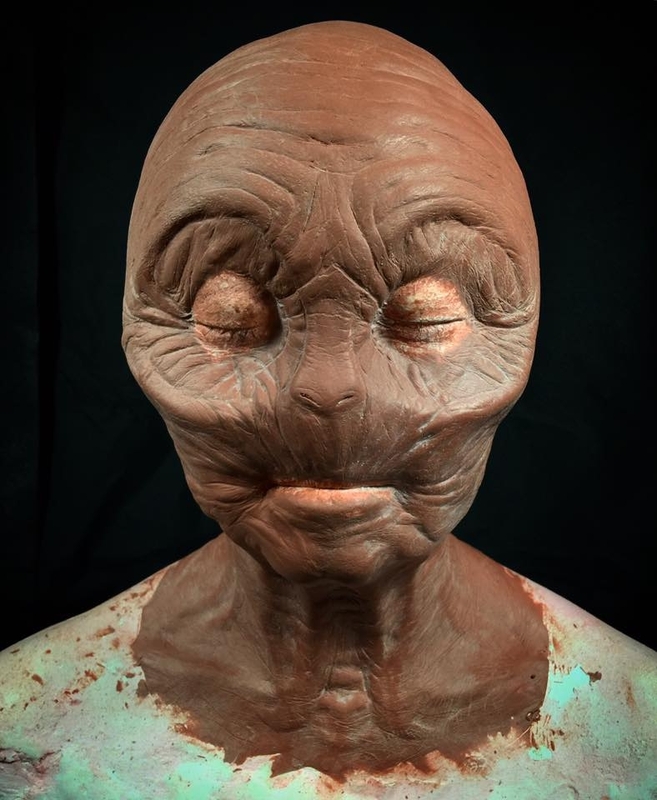 Note to Stan Winston School of Character Arts: This makeup and most everything I have learned would not be possible without the breadth of knowledge provided by this institution and the industry professionals who share their insight here. 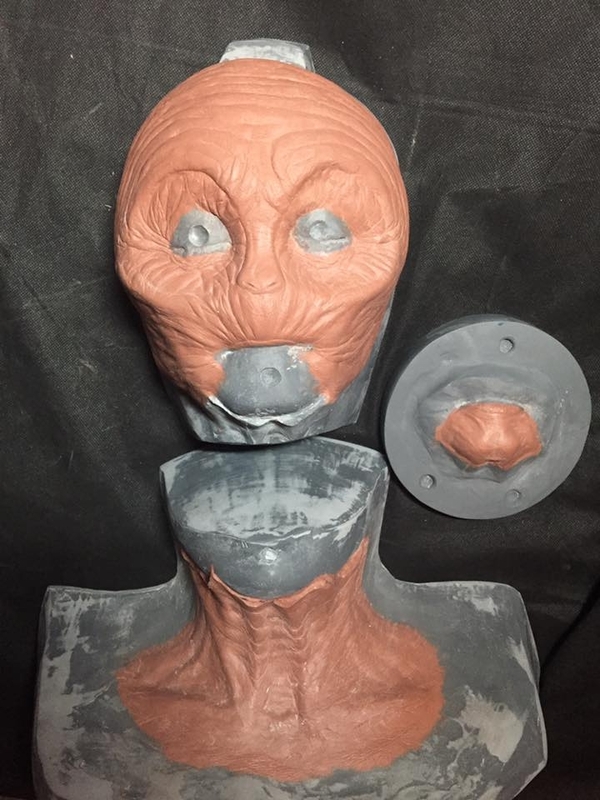 Special acknowledgements go to Bruce Fuller for his character makeup break down videos, Joel Harlow for his multi-piece makeup application video, Don Lanning for his zen master, power of the X sculpture lessons, Tim Gore for his painting wizardry, Cory Czekaj for his silicone casting video (this was the first encapsulated piece I have ever done and the silicone was curing in the molds on the drive up to Atlanta) and all the other artists who continue to help and inspire not only myself but the multitude of artists seeking to improve their skill set in special effects whether it be a hobby or a career. That lady's face in the first pic says it all... great job!!! Holy smokes, amazing work! That lady's expression captures my thoughts on it. Wow!